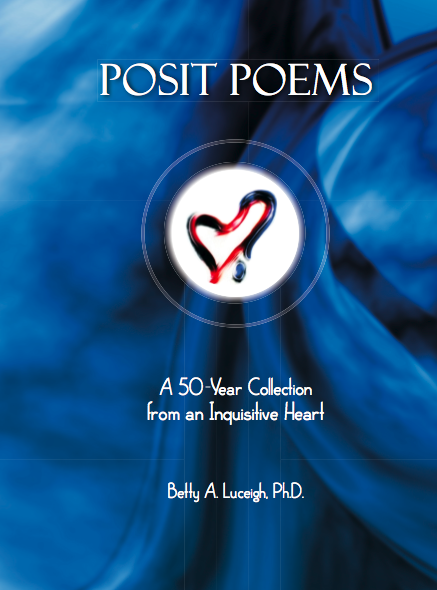 This site was originally dedicated to information related to the book “POSIT POEMS” by Betty Luceigh. 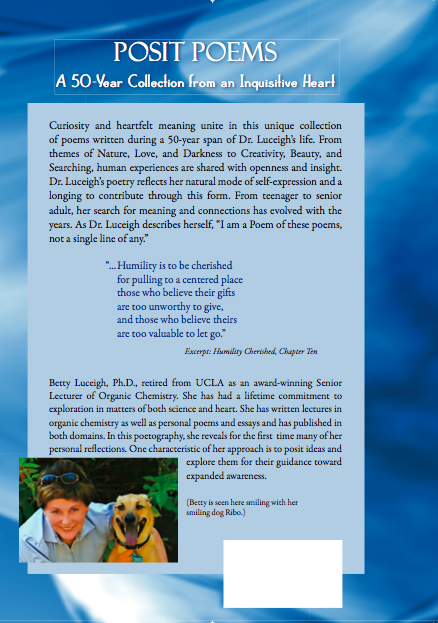 It still offers details such as chapter headings, sample poems, the author’s biography, and purchase information. This site also provides features not provided in the book itself. For example, the image on the cover and here is the “Inquisitive Heart” logo. It represents the underlying theme within the poems of a heart led by curiosity. The question mark (blue) hugs the right side of the heart and pulls it upward as if leading it forward. The heart (red) is growing larger, perhaps reluctantly. Nonetheless, both are working together toward enhanced understanding. This site has now expanded to include a menu of Audio/Visual Works composed since the publication of the book. It also has posts of poems written since the site began and will continue to add new writings.